A great morning glory for small gardens. We are smitten with the sheer, delicate beauty of this unique introduction. Cotton Candy lives up to its name, conjuring a floriferous confection of innumerable large ruffled double blooms of spun-sugar bright pink. The radiant blooms cloak vines that like to amble up trellises, reaching 6 ft. A good choice for smaller gardens where more vigorous morning glories can be overwhelming. Morning Glory, Cotton Candy is rated 4.0 out of 5 by 3. Rated 5 out of 5 by Omawilma from Great pink flower Just love how well this vine has grown in my garden! It is a beautiful color and a strong vine! We get strong winds and it has still bloomed continually! It has volunteered for the last two years, which I applaud! Wonderful vine! Rated 2 out of 5 by SchultzyGreenThumb from Few But Beautiful Mine didn't produce very many flowers, but the ones that did -- were beautiful! I have a balcony on the seventh floor, so I wanted something noticeable from a distance. I have grown morning glories over the years that did quite well, which drew much comment from passers-by. Admittedly, though, for the cotton candy variety, I hadn't read up on proper soil requirements of morning glories -- which is opposite the amount of plant food that makes my other flowers flourish and draw compliments. 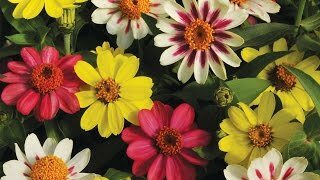 I WILL try these for one more summer, offering less rich soil and keeping them somewhat drier than the other types. I would definitely recommend cotton candy to others. Rated 5 out of 5 by SunDiva from Ballerinas On The Vine They look like little ballerinas in pink tutu's!